The devastating effects of Australia's unprecedented drought are spreading further through the eastern states, with coastal farmers now suffering as well. 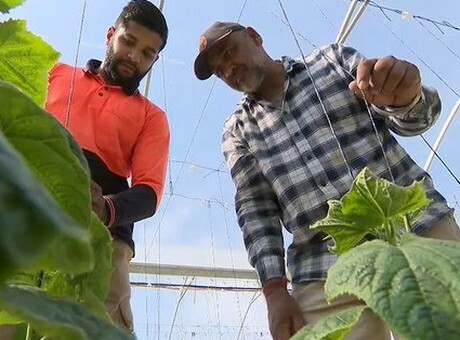 On the New South Wales mid north coast, time is running out for a group of farmers from the Sikh community to save their crops. The paddocks in the region look lush with green vegetation, but communities are reeling from the country's worst drought in more than 50 years. Sid Sidhu could lose up to half a million dollars in his blueberry investment - which includes 26,000 blueberry plants - due to the drought. He and his sons are making better return on their cucumbers, which are grown in hydroponic houses and don't rely on natural rainfall or soil. But their water supply is severely depleted. "We're suffering right now,” Mr Sidhu told SBS News. “We're starting to already cut water. We're starting to think about pruning our berries so we can conserve some water. If we don't get rain in the next month or six weeks, we're going to run out of water. Full stop."